Jetset Plumbing provides a Water Certificates Moorooka service for Owners, Landlords, Real Estate Agents and Lessors. In order for a tenant to be charged for the water they use the property must be Water Efficient, our Licensed Plumbers can inspect your property and convert your fixtures and fittings to be Water Efficient if required and provide a Water Efficiency Certificate. Simply call Jetset Plumbing today. 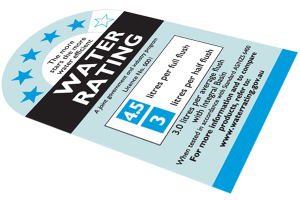 For any water fixtures you can easily check if they meet required efficiency standards by looking at products WELS rating of three stars or higher. WELS is Australia’s water efficiency rating system which includes taps, showerheads and toilets, the more stars the higher the efficiency. When Plumber Moorooka inspect your property for water usage compliance, we check all of your taps, shower heads, toilets and any other water-using fixtures. Items the tenant cannot be charged for include state bulk water charge and water usage charges.